You can import a WSDL file into Policy Studio, and invoke it from a policy instead of exposing it to a client. 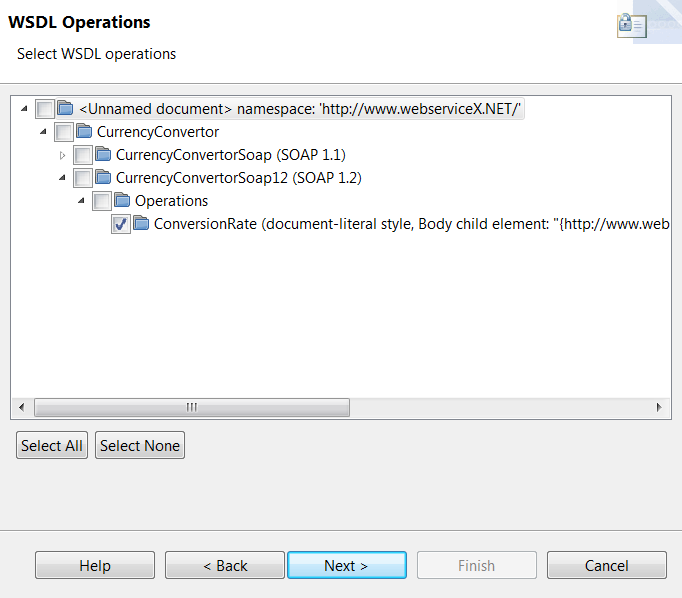 For example, in a SOAP to REST use case, the web service is registered in Policy Studio by importing a WSDL file into the web service repository. A REST API is then defined in Policy Studio, which calls a policy to implement the API, and in turn, this policy invokes the web service. 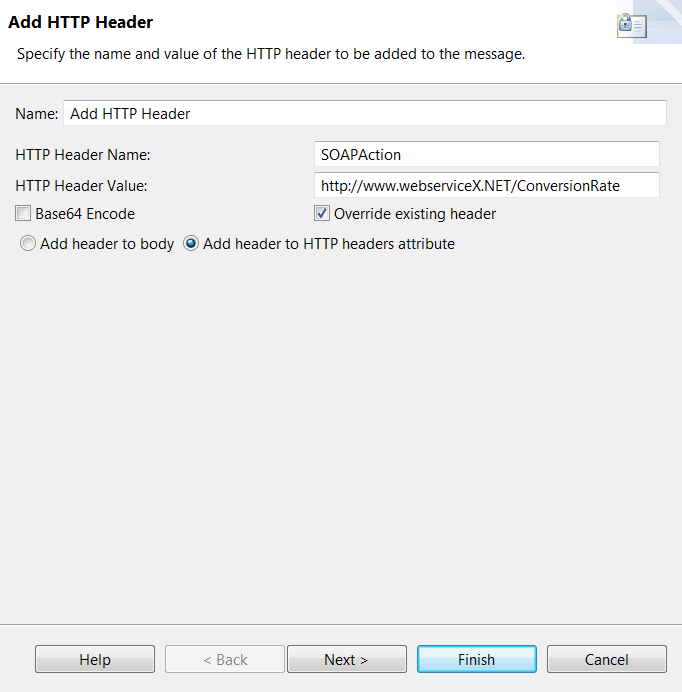 To expose a virtualized version of a SOAP web service on API Gateway, import a WSDL file describing the web service into the web service repository. 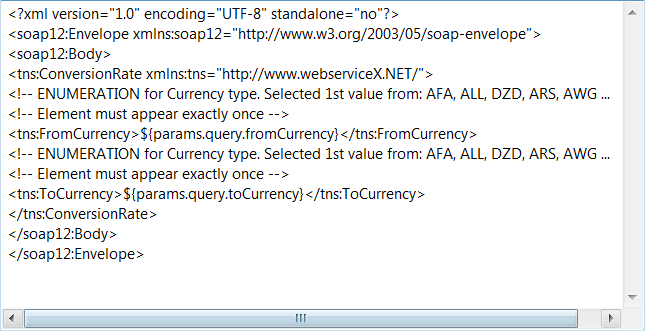 The following figure shows importing the WSDL for a currency conversion SOAP web service. Note This is an example for demonstration purposes only. Adapt the following steps to suit your web service. For more information on using the Import WSDL wizard, see Import a WSDL file. When you register a web service in Policy Studio, service handlers and policies are autogenerated. The following figure shows the generated policies for the currency conversion service. 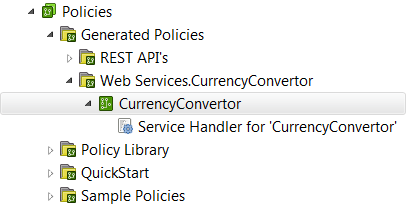 Create a new policy container called CurrencyConversion. Within this policy container create a new policy called MainRouter. Add a Policy Shortcut filter to the MainRouter policy, and set it to call the CurrencyConvertor policy that was autogenerated when you imported the WSDL for the web service. Add a relative path for the MainRouter policy so that all REST requests received by API Gateway on the path /convertcurrency/getConversionRate are processed by the MainRouter policy. On the HTTP Method tab of the path resolver, set the method to GET. 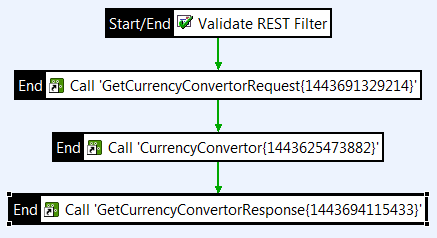 Create a request processing policy called GetCurrencyConvertorRequest. 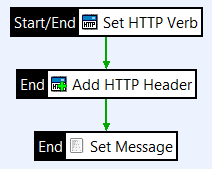 Add a Set HTTP verb filter to the policy and enter POST in the HTTP Verb field. 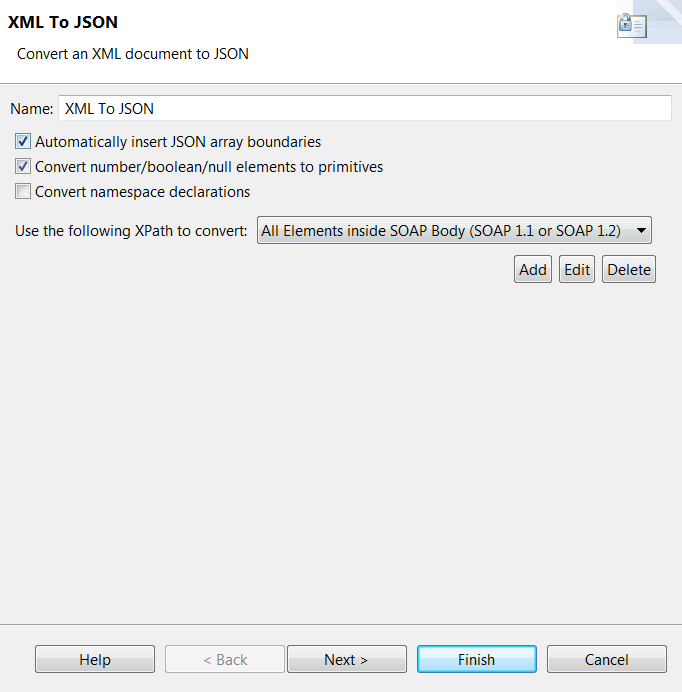 Add a Set Message filter to the policy and enter text/xml as the Content-Type. Select From web service operation from the Populate menu and select the ConversionRate operation from the currency conversion web service. This populates the contents of the message body. You need to replace the currencies in the message body with the currencies from the incoming REST request. 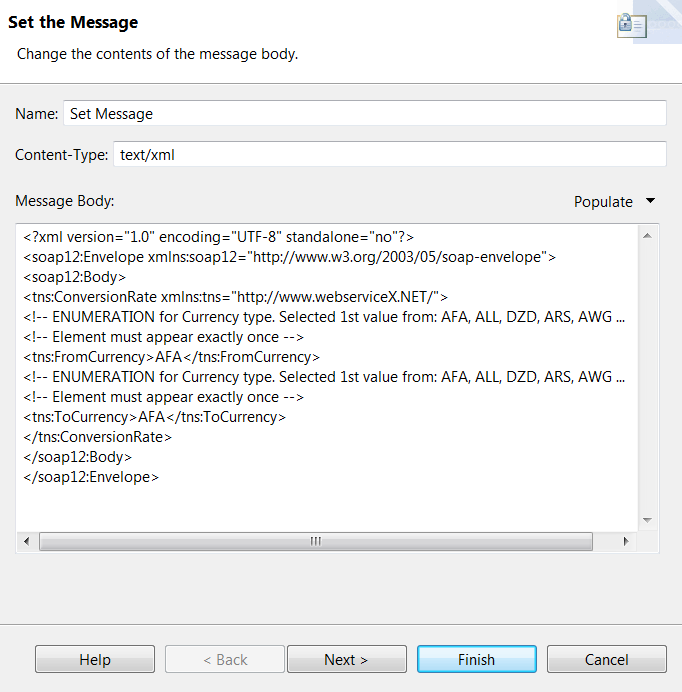 To enable the autocompletion mechanism in the Set Message filter, which will allow you to insert the fromCurrency and toCurrency selector strings in the message body, you must first connect up the filters in the MainRouter and GetCurrencyConvertorRequest policies. Add a Policy Shortcut filter to the MainRouter policy, and set it to call the GetCurrencyConvertorRequest policy. Edit the Set Message filter. Select the currency type in the message body and start typing to see matching selectors. 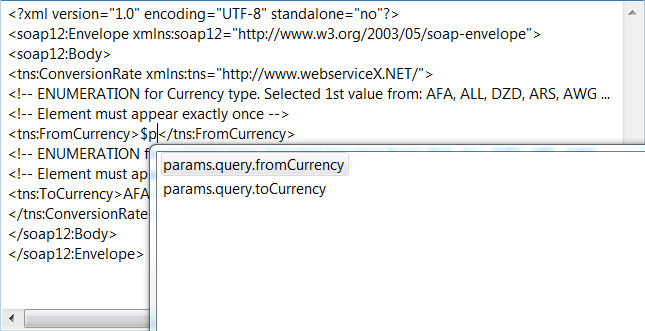 Insert the selectors $params.query.fromCurrency and $params.query.toCurrency in place of the currency types. 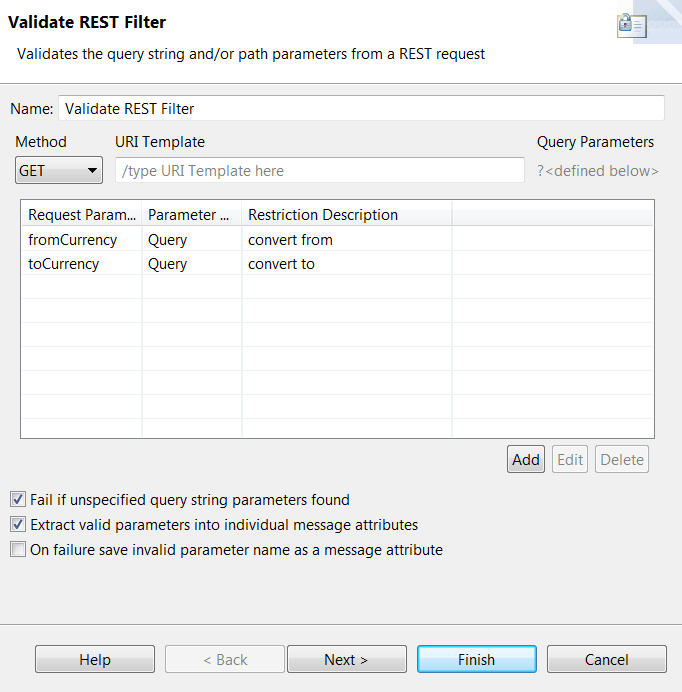 Create a response processing policy called GetCurrencyConvertorResponse. Add another Policy Shortcut filter to the MainRouter policy, and set it to call the GetCurrencyConvertorResponse policy. You can use API Gateway Manager to view the filter execution path for the REST request, and to examine the request from the client and the response from API Gateway, and the request from API Gateway and the response from the web service. For more information on API Gateway Manager, see the API Gateway Administrator Guide.